Sometime towards the end of 2011 or the early part of 2012, General Motors will launch trucks in India. These will be small machines meant to ply inside cities, and will take on Tata Motors' Ace and Mahindra & Mahindra's Gio. The architecture of the trucks will be sourced from SAIC of China, which now holds 50 per cent in General Motors India, but these will be customised for India inside the General Motors Technology Centre in Bengaluru. It has been decided that the trucks will sport the Chevrolet badge on the grill, that famous bowtie. Launched in India in 2003, General Motors seems to think Chevrolet has hit critical mass in cars and is ready for extension to trucks. In the first quarter of this year, research conducted by TNS showed that Chevrolet's brand recall and perception have improved in the last seven years; the recall has done better than the targets, though the positive opinion has fallen short of the target. 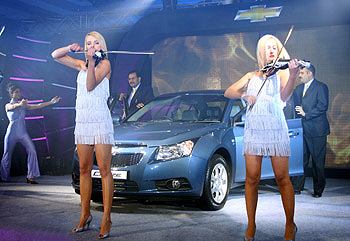 Image: Models pose with violin at Chevrolet Cruze launch in Mumbai. Some of the shortfall can be explained by the bankruptcy of its parent in the United States about a year ago. But Chevrolet in India is not big. It is a fiercely competitive market, the final frontier for the car makers of the world. For the first four months of 2010, Chevrolet's market share was 4.6 per cent - small, though double of the 2.2 per cent in January-April 2009. The target for 2010 was 10 per cent. General Motors India president & managing director Karl Slym was confident till a year ago that the target will be met; not any longer. "That target was set before the bankruptcy in the United States," says he. On the positive side, India has become the fourth-largest Chevrolet market in the world after the United States, China and Brazil. (There is one Chevrolet bought every eight seconds in the world.) Slym is hopeful of closing this year with sales of over 135,000 and next year with over 200,000. General Motors, mind you, had started out in India in 1996 with Opel. 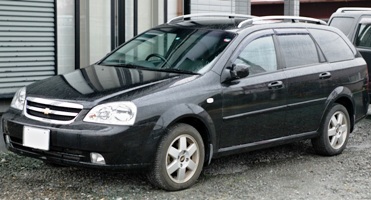 It had launched three models, the Astra, Corsa and Vectra. In 2003, it switched to Chevrolet. Apart from these two, General Motors had other brands like Buick, GMC and Cadillac also in its stables. But the way the Indian market was shaping up -- buyers preferring small cars because of their low cost, fuel efficiency and ease of parking -- the company decided to go ahead with Chevrolet. segment in the future, brands like Buick and Cadillac will be brought in. The problem with the switch to Chevrolet was that there was confusion in the mind of the consumers. Was it General Motors? Or was it Opel? Some thought it was Chevrolet, and a few thought it was Daewoo because General Motors had acquired the passenger car business of the bankrupt Korean chaebol. Slym says some even confused it with General Electric (then led by "Neutron" Jack Welch)! The first step was to remove everything from all communication except Chevrolet. The General Motors logo was taken off all advertisements; it was Chevrolet all the way. Business cards of the sales team sticks to Chevrolet, and so does the official website. In 2003, an audit carried out by TNS showed that people thought General Motors was a great international company with high-quality products and Chevrolet was a great brand. On the flip side, there was concern that these cars would be fuel guzzlers and expensive to own. The task for the General Motors team was cut out. The first priority was to offer high fuel efficiency in all its cars. General Motors India vice-president (sale, after-sale and marketing) Ankush Arora claims that three Chevrolet cars have best-in-class mileage: The Spark (18.9 km per litre), Beat (18.2 km per litre) and Tavera (16.4 km per litre). All the other Chevrolets -- the U-VA, Optra, Aveo, Cruze and Captiva - are in the top 25 per cent in their respective categories. Similar claims of fuel efficiency, of course, are made by rivals, including Maruti Suzuki and Hyundai. There is no end to these claims and counterclaims. The second task was to keep the prices low. This required the company to have a small car in its portfolio. 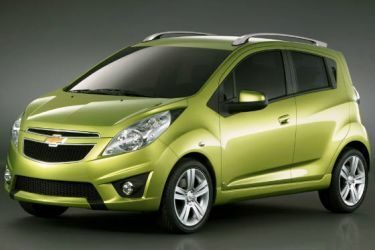 Chevrolet went mass in 2007 with the Spark. The job was not easy. The car had had a bad first innings when it was launched many years ago as the Matiz by Daewoo, good reviews notwithstanding. From 2003 to 2005, General Motors debated whether or not to acquire the Daewoo factory at Surajpur near Delhi. It finally decided against the acquisition. That delayed the Spark's launch to 2007. It is priced at Rs 2,83,000 (ex-showroom, New Delhi), which is higher than the Maruti Suzuki Alto (STD BSIV; Rs 2,29,000), but below the Hyundai Santro GL (Rs 3,40,000). The Chevrolet small car portfolio got strengthened last year when it launched the Beat for Rs 3,42,000. A car industry veteran says that all Chevrolet cars for India are designed in South Korea and not Europe or the United States, and that's why it's able to keep a lid on the prices and offer better fuel efficiency. This has also helped it gain a foothold in the small car segment. Are the low prices strategic pricing to gain market share? General Motors has in the last one year or so invested close to $500 million (Rs 2,350 crore) in two facilities (one at Talegaon in Maharashtra and another at Halol in Gujarat); how does it still manage to write such aggressive price tags? 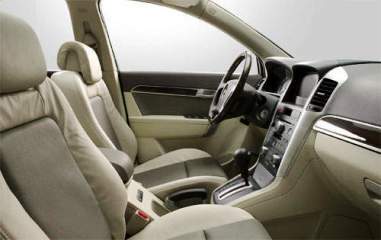 Image: Interiors of Chevrolet Captiva. Last year, when General Motors had filed for bankruptcy in the United States, Chevrolet ran the risk of becoming a discounted brand. Left to themselves, the dealers could have dumped the stock in the market, just like they sold Daewoo cars at throwaway prices when the company went belly up. That would have finished the brand. But Slym held on to his prices, deployed his own people at 35 key dealerships that accounted for 70 per cent of Chevrolet volumes in the country to tell buyers that all is well and launched two new cars: The Beat and Cruze. 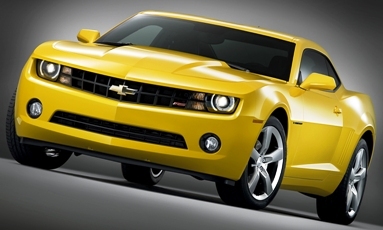 (There are now eight Chevrolet cars on the road, which is second only to Maruti Suzuki's fleet of 13.) Slym also replaced film star Saif Ali Khan with himself in the commercials such was the need to convince buyers. The trick worked. "It is definitely not a discounted brand," says Synovate India Director and Head (qualitative research) Shravani Sen.
"That the company continued to invest mattered a lot to the buyers." Arora gives another interesting piece of information: For every car, almost 80 per cent of the sales are bunched at the top end. In other words, price is not the only consideration for purchase. There is another way that the company has protected the brand image of Chevrolet: It has not encouraged its use in the taxi segment. The Tata Indica and Mahindra Logan know what it means if the brand gets associated with taxis: The consumer begins to look down at it. Slym says there is no cap on sale to fleet owners, but the company is cautious while selling to fleet owners. 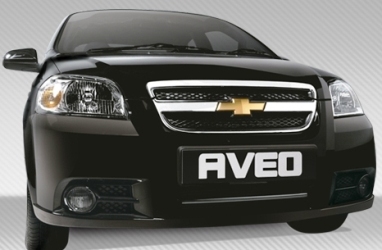 In the works is the CNG Aveo which will be sold to this segment of the market. Focus has also been given to the brand in areas that have been under-serviced by the large players, like the East. "Our share there is twice or thrice of our national share," says Slym. "People there are more ready to experiment with a new brand." The company also realised that apart from the price of the car, buyers also spend a lot on service and maintenance. Slym has thus devised a scheme where the company gives free service for three years or 45,000 km, whichever comes early, for the Spark. This includes spares, service, maintenance and labour. 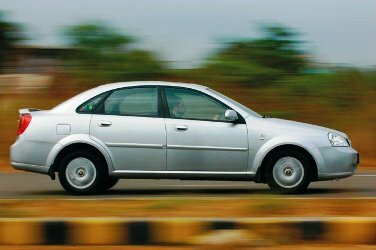 It also guarantees a maximum expenditure on service for three years on any car (Aveo: Rs 15,999, Optra (petrol): Rs 17,999, for example) - anything in excess will be reimbursed by the company. The amount was fixed keeping in mind the maximum money that a consumer can spend. Naturally, no claim for reimbursement has so far come to the company. Coupled with the low acquisition and maintenance costs, General Motors has tried to build the brand promise for Chevrolet as 'more' -- a Chevrolet gives more than rivals. 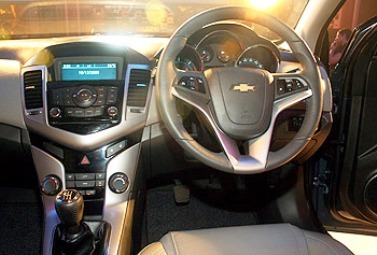 The Cruze thus comes fitted with cruise control and push-button start. The Beat, though prices under Rs 400,000, features automatic climate control, integrated stereo with USB port and stylised wheels. One rival says that though there are eight Chevrolets in the market, four cars have been discontinued by General Motors in the last few years: The three Opels and the Chevrolet Forrester. "This puts a fear in the mind of somebody who had bought these cars. It crashes the resale value of the car. You have lost that customer forever," says he. One way General Motors has devised to deal with the problem is to set up exchange counters at its dealerships, where these cars can be sold. At the moment, 41 of its dealers have this facility; the company wants to raise that number to 100 by the end of the year.